SkinMedica HA5 Rejuvenating Hydrator 2oz. NEW! This breakthrough product provides immediate smoothing in the appearance of fine lines and wrinkles, and supports the skin's natural ability to replenish its own hyaluronic acid for overall skin health.Smooth, supple and youthful skin with HA5. 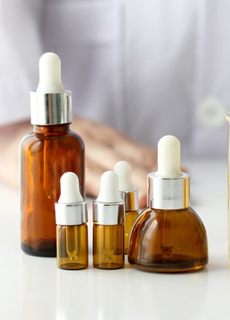 This serum’s unique formula also helps the skin replenish its natural supply of hyaluronic acid. The result is healthier and more beautiful skin. With regular use, you’ll see an improvement in the appearance of uneven texture, roughness, fine lines and wrinkles. You could earn 100 Brilliant Distinctions® Points = $10 with this purchase. Join Now. Makes my skin feel great! I love this product-- it's light and quickly absorbed, and always makes my face feel like it's had a big drink of water. Best to use it right after washing your face, because hyaluronic acid works by grabbing the water on the surface of your skin and pulling it into your skin. 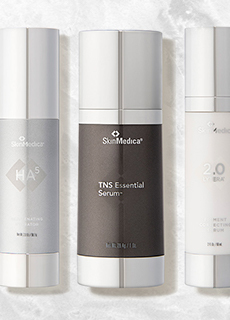 You're reviewing: SkinMedica HA5 Rejuvenating Hydrator 2oz.